Designing is undoubtedly one of the most lucrative and demanding professions in today’s world. However, being a professional designer is not everyone’s cup of tea. It is indeed a full-time job where you never know when an idea or inspiration strikes. In such a situation, having some useful designing apps on your Android device becomes the need of the hour. So, in order to make your designing work easier, we looked through the Google Play Store and handpicked some of the best Android apps for creatives. 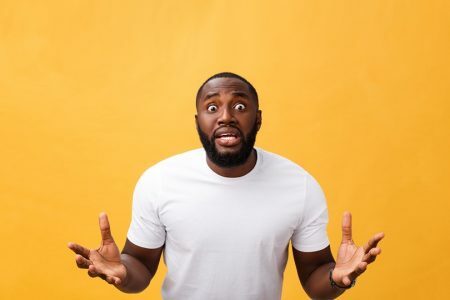 Irrespective of whether you’re a designer looking to create vector graphics or a creative professional planning to sketch out a wireframe on your Android-powered smartphone or tablet device, these apps will definitely help you to deal with your everyday design errands efficiently on the go. Paperless is a simple yet powerful drawing application for designers, allowing them to draw, paint, color, sketch, and write notes right from their Android devices. Equipped with 6 different types of drawing tools, this amazing app facilitates designers to create up to 3 layers and also manage the opacity on each layer. Another great advantage of this app is that you can share your creations straight to Facebook without quitting the app. Created by renowned developer Sean Brakefield, Infinite Design is an SVG vector graphics Android app that enables designers to create designs using their smartphone and tablet devices. What makes this application different from others is the ability to create 3D images with five different perspectives. Additionally, you can play with four types of symmetry, add unlimited layers, import/export SVGs, and add special effects. 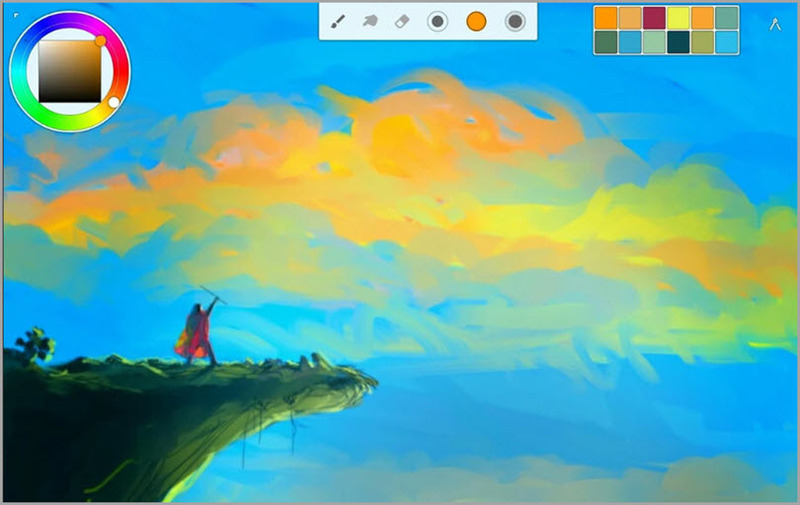 Designed to replace your physical sketchpad, ArtFlow is a simple and user-friendly painting and drawing application that turns your Android-powered smartphone or tablet into a powerful digital sketchbook. 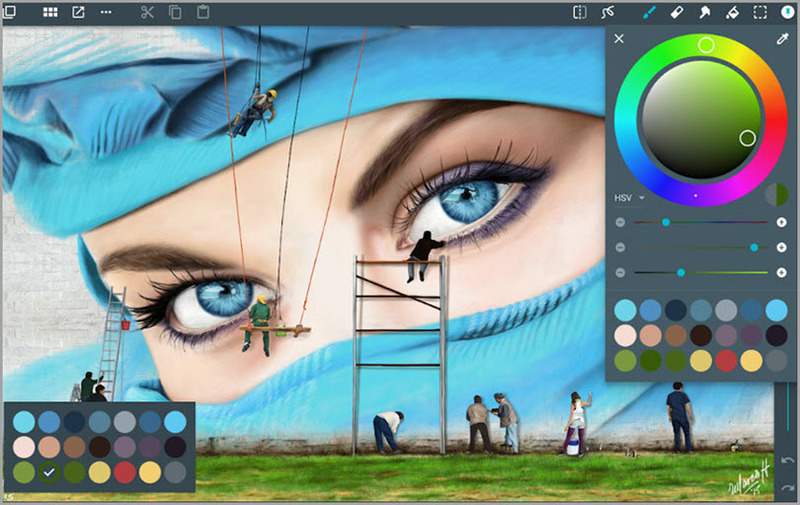 Packed with a high-performance engine, it supports canvases up to 6144 x 6144 pixels with 50 layers and offers designers over 100+ paint brushes and tools, including smudge, gradient fill, and eraser tool. Moreover, ArtFlow features a Material design inspired user interface and fully supports pressure sensitive pens like S Pen. Although Canva has been around as a web-based graphic-design platform since 2012, it has made relatively a late move to Android in 2017. 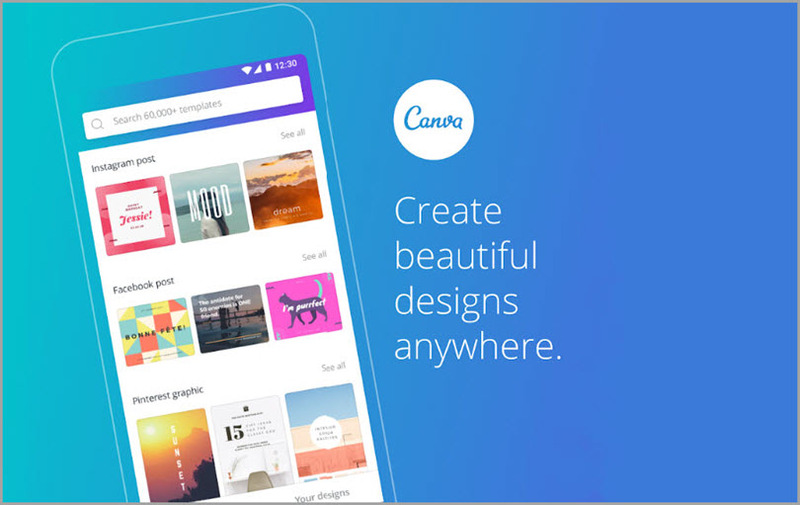 Just like the online version, Canva for Android is also packed with more than over 60,000 sleek, ready-made templates which you can produce eye-catching designs for the various social media channels on the go. And, the best thing about it? It’s pretty easy to use! Just pick a template of your taste, personalize it to fit your requirements and then share it! Although Canva is a simple tool, if used wisely, it can produce highly professional graphics. Remember Adobe’s Kuler? Color Reference does the same! 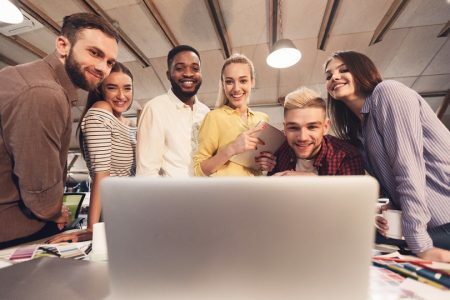 The main objective of this color management application is to help designers and color lovers improve their designs by providing them some inspiration and allowing them to discover new color schemes. 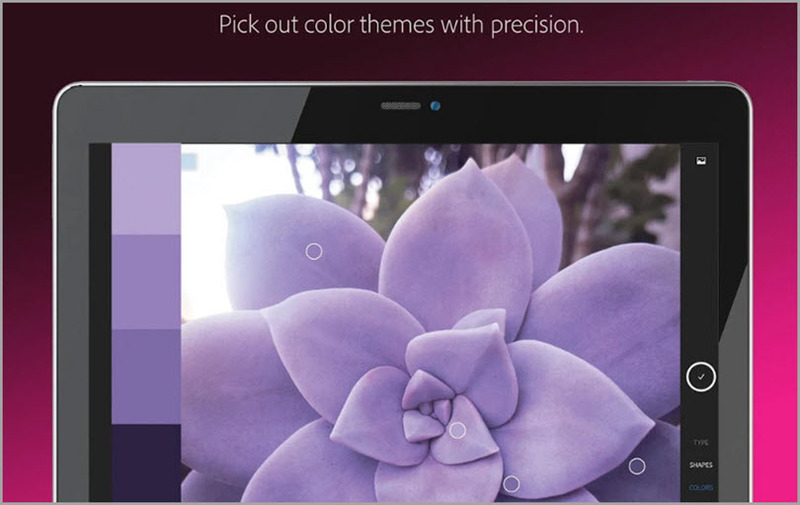 With this fabulous app, not only you can create and export your own color palettes with up to 5 colors but you also have the ability to pick colors from imported images. 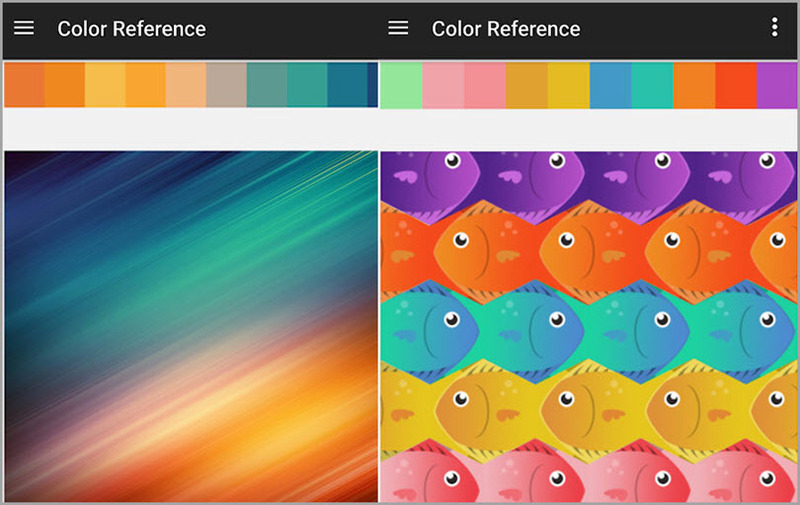 And, the most interesting feature of Color Reference is the wallpaper creator that allows you to create awesome wallpapers based on your color palettes. Adobe Capture CC is a fantastic Android app that turns your ordinary smartphone or tablet device into a powerful creation machine. With the help of this intuitive application, you can easily convert any photo or image into a scalable vector, brush or shape. 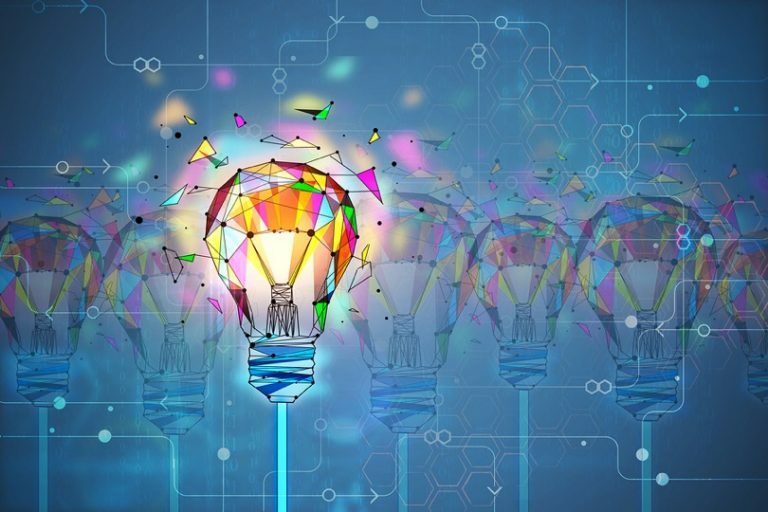 Taking advantage of Adobe’s advanced AI technology, Adobe Capture can easily detect fonts, recommend visually similar fonts, and create color palettes or geometric patterns from any image instantaneously. Furthermore, if coupled with a Creative Cloud account, Adobe Capture keeps all your creations in sync across all devices you use. 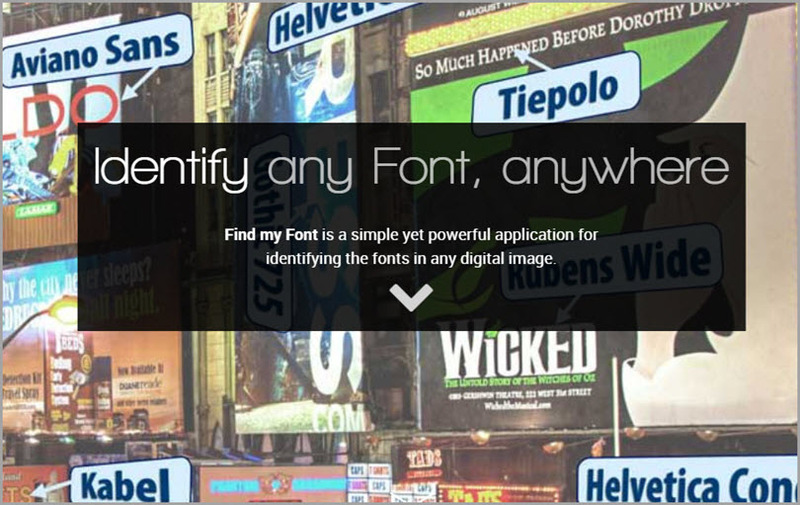 As the name itself explains, Find my Font is a font-identification Android application ideal for web designers, graphic designers, sign makers, and other creative professionals to identify the fonts in an image in seconds. To identify the fonts, you just need to either take a photo or load an existing image from the gallery. 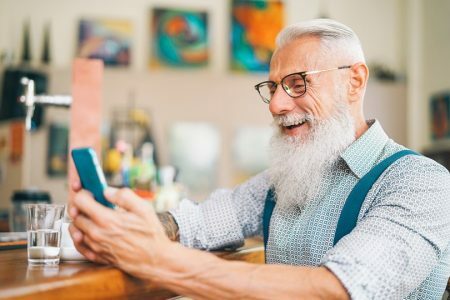 With a huge online database of more than 150,000 fonts, this app boasts to fetch accurate results down to a mere a 20px text height. Since the Find my Font Android app is restricted to identify only Latin letters and symbols, you can download and use Find my Font Desktop on your Mac or Windows PC for the identification of non-Latin letters. If you’re already familiar with the popular iOS desktop painting app Procreate, you’re going to love this wonderful painting application Infinite Painter. 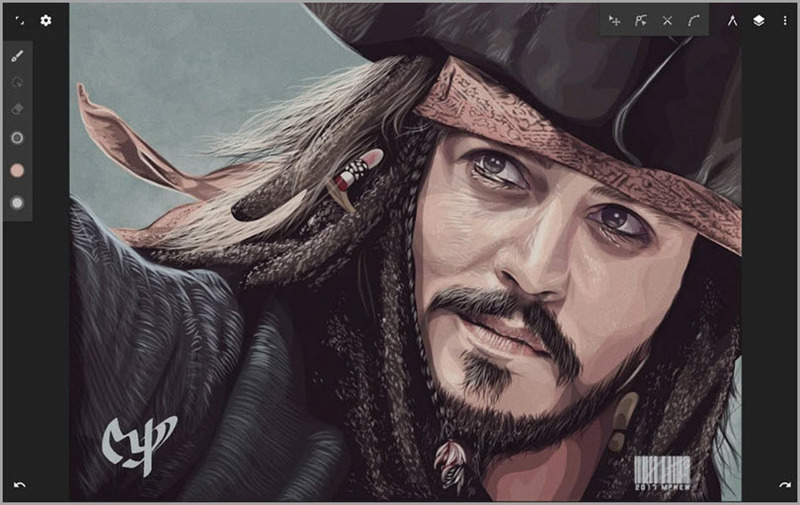 With a cutting-edge painting engine backed by over 80+ natural brush presets, Infinite Painter aims to provide designers a much better experience than prevalent graphic design tools such as Autodesk Sketchbook, Adobe Photoshop, and Procreate. You can create your own brushes, transform multiple Photoshop-compatible layers simultaneously, and export your images as JPEG, PNG, PSD, or ZIP. 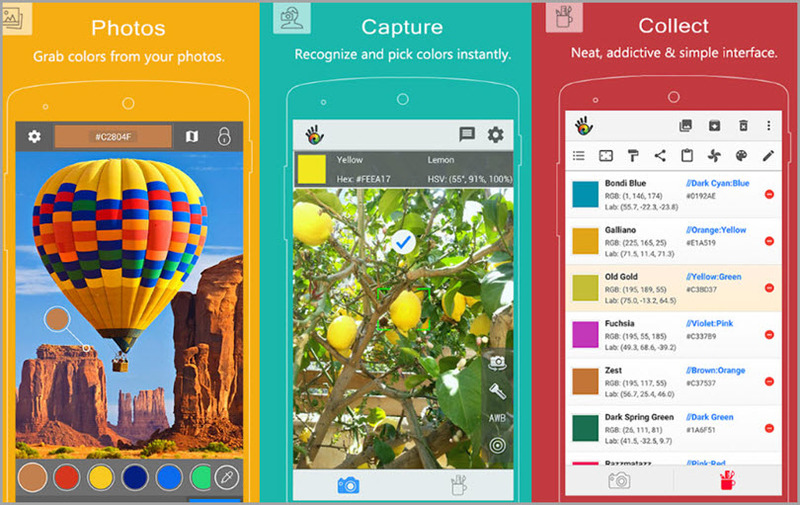 Packed with countless outstanding features like real-time color measurement and after-shot color analysis, Color Grab is a handy on-the-go color-picking Android application for graphic designers, artists, and creative professionals. To pick, capture and recognize colors, you simply need to point the camera at an image. Moreover, it facilitates you to take advantage of the flashlight in low-light conditions and you can even set the custom white balance. 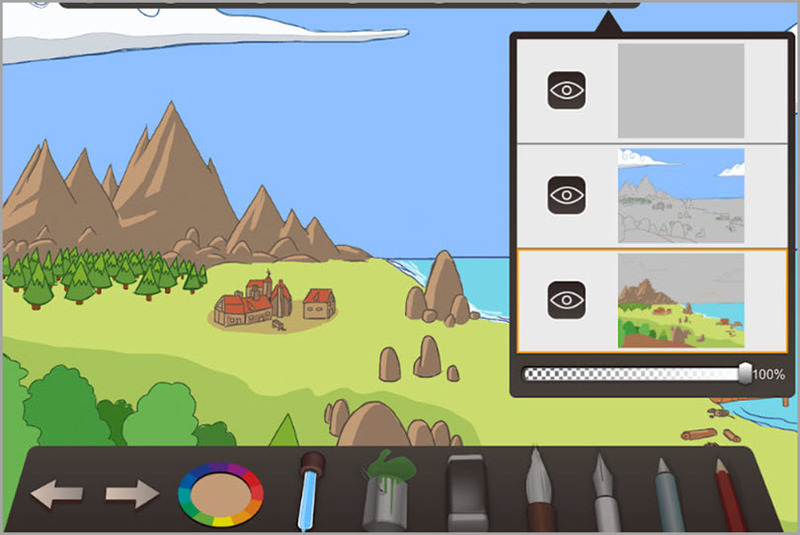 Supported export options include Photoshop, Illustrator, GIMP, Inkscape, and more. So, these were some handy and interesting Android Apps for designers, artists, and creative professionals. Did we miss any great ones? Let us know in the comments section below! 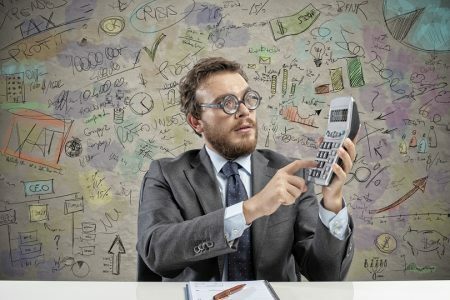 Guest author: I’m Jay M, an app developer come blogger working with iPraxa – a mobile app development company, who has proven expertise in resolving all the technical complexities involved in the development of innovative, unique websites and apps. I spend my spare time on the web to learn about the latest technologies and love to share my knowledge with others through my content. Find out more about me on LinkedIn.